The Washerwoman: Favourite Childhood books. What is yours? Favourite Childhood books. What is yours? I haven't included every page, just the best in my humble opinion! Have you still got a well loved childhood book that you would like to share? Enjoy the weekend! I love this book, although i didnt read much when i was little, so i read it quite recently. The one book i adored was The Lion, The Witch and The Wardrobe...love,love,love it! 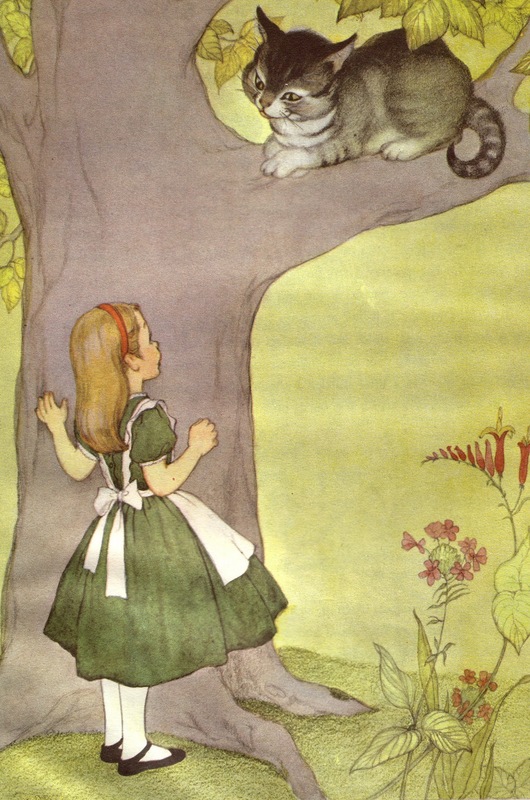 I loved all of the chronicles of narnia, and any winnie the pooh books. Disney is really lovely! 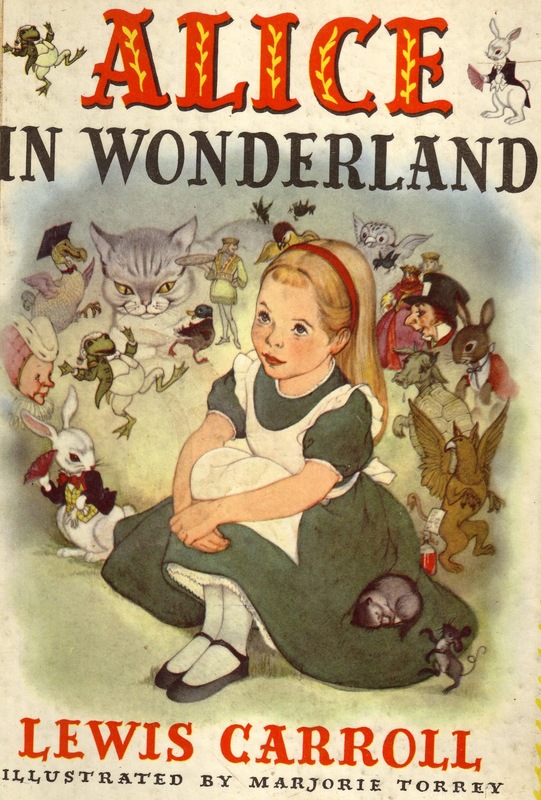 I love Alice in Wonderland too, my childhood copy is an old one with the John Tenniel illustrations so they are my personal favourites. 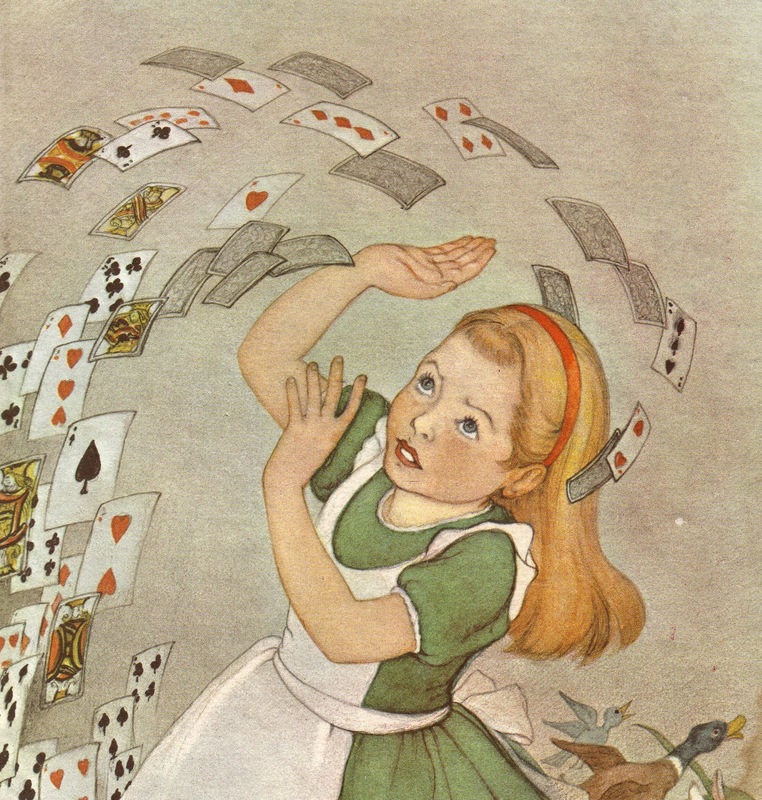 We also have another version of Alice rewritten as a short story with different illustrations, they are lovely too. I hadn't seen your version before, it is also lovely! What a lovely edition that is. Lewis Carrol used to live in Guildford where I lived for 30 odd years and there are statues of Alice going through the looking glass and others in the Castle gardens. 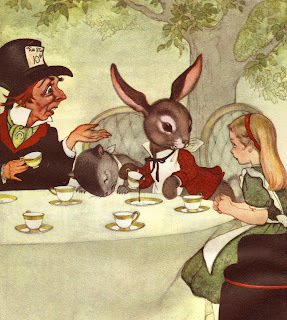 My favourite books were the Little Grey Rabbit series - didn't think back then about what a doormat she was to Hae and Squirrel! I also enjoyed the Milly Molly Mandy books to and enjoyed reading all these to my daughter back when she was little. I would have loved that book too had I known about it as a child. The illustrations are beautiful. I remember certain books of mine so well as the illustrations are as vivid in my mind today as they were 40+ years ago. I have so many favourites.. but the most treasured are... The Lion The Witch and the Wardrobe.. how I wanted to find Narnia in our large sit in wardrobe amongst my mother's fur coats and mothballs. I also loved the Ant & Bee books.. Nicholas Thomas the naughty cat.. Winnie the Pooh still as magical today.. the list goes on.. Oh., how could I forget all of the Famous Five books. 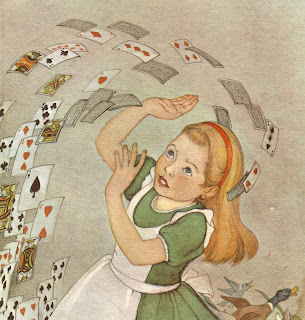 That is a beautifully illustrated version of Alice. Though I think think the picture of her oversized squashed into a room could have contributed to my childhood claustrophobia. 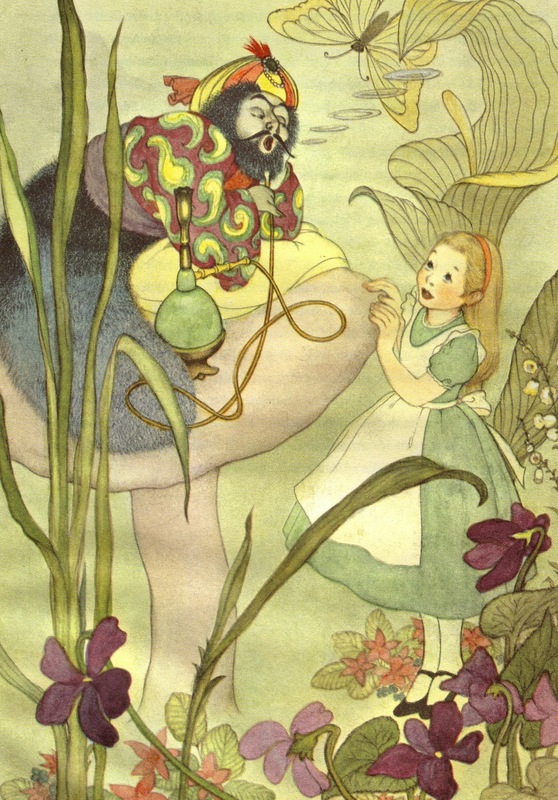 I was brought up on Victorian childhood stories like Alice, and Charles Kingsley's The Waterbabies and they terrified me. 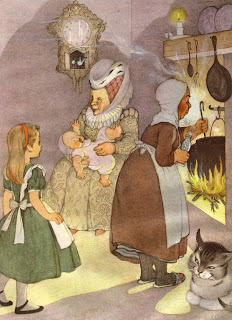 Grimms fairy tales were just as awful to me (and when I read the truer originals as an adult I realised how dark and adult they actually are). 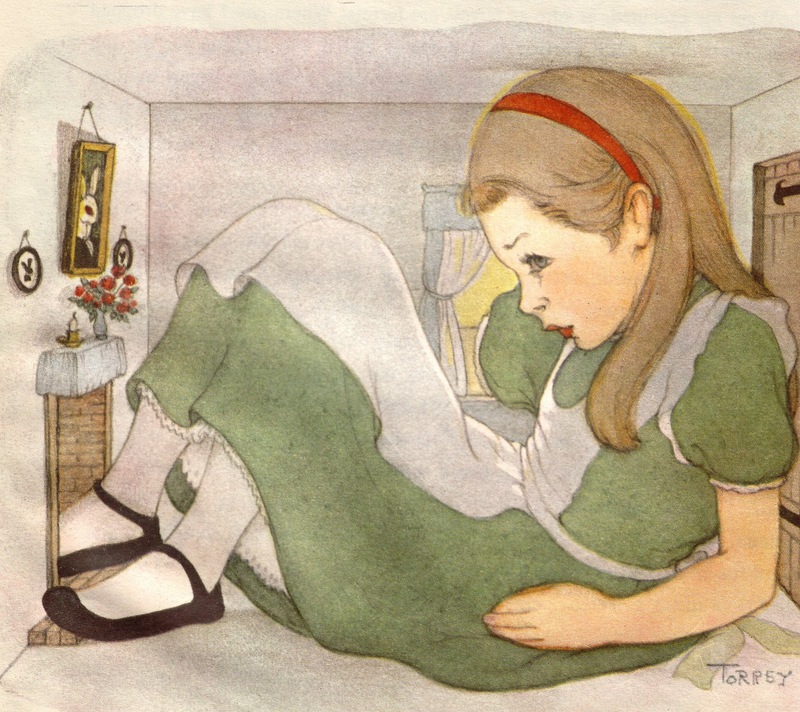 My favourite book as a shy 12 year old was The Little White Horse by Elizabeth Goudge. I identified with the "rather plain" heroine Maria, my near namesake, and her description. On reflection I was hugely influenced by many names in the narrative: Loveday, Heliotrope, Minette, and Robin. As a young student I re-discovered a tattered paperback copy in Kensington library. I took it out and missed the return date. Paid the half-crown fine and kept the book for myself. I've never read it since but I always remember the romantic and otherworld feelings it engendered in my young heart. I loved Alice in Wonderland, as did my mother, and I know chunks of it by heart. 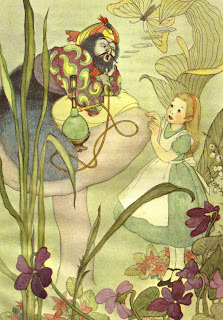 I was brought up on the original Tenniel illustrations, so I find other illustrations are never quite right. Don't get me started on Disney! And I'm not sure I ever want to see the Tim Burton "re-imagining". My absolute favourite book was probably an omnibus edition of A.A. Milne's poems ('When We Were Very Young' and 'Now We Are Six'). I loved every line and every illustration.